Cold and flu season got you worried? Want to boost your immune system quickly? If so this video is for you. When we experience stress in our lives, our immune system can become weak and can contribute to colds, flu and disease. Many things contribute to a weakened immune system from too much sugar, dehydration, ongoing fatigue, and long-term stress. Today I am going to show you a super quick and easy way to stimulate your immune system. 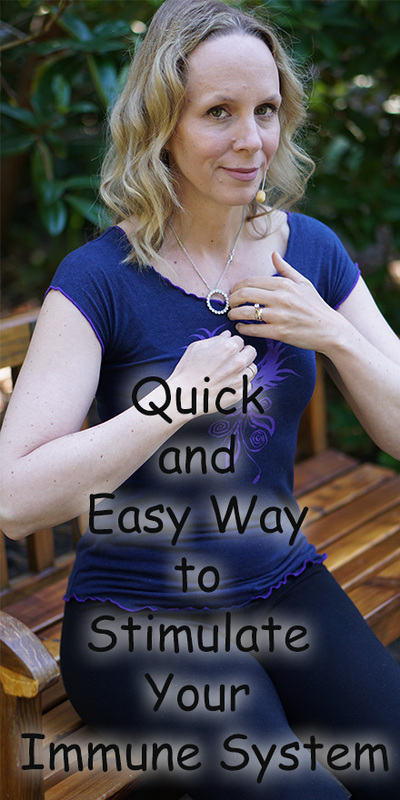 Today I am going to show you a quick and easy way to stimulate your immune system by tapping your thymus gland. Now this needs to be done in moderation, because excessive tapping of your glands and organs can be harmful to your glands and organs. Your thymus gland controls your immune system. 1. Rub your hands together and warm them. That´s it, it is that quick and easy. What are your best advice for boosting your immune system? Let me know in the comments. If you liked this video, give it a thumbs up. Subscribe and turn on notifications. I put out new videos like this every Wednesday at 9 am PT.